This is the quiet time of year. Nothing particular is happening in Ray’s Garden. The bed’s have been cleared of summer’s excess, the persimmons and pomegranates have been harvested. Now we wait for rain. It’s a quiet time. Mostly it’s quiet because The Crush is over for the year. 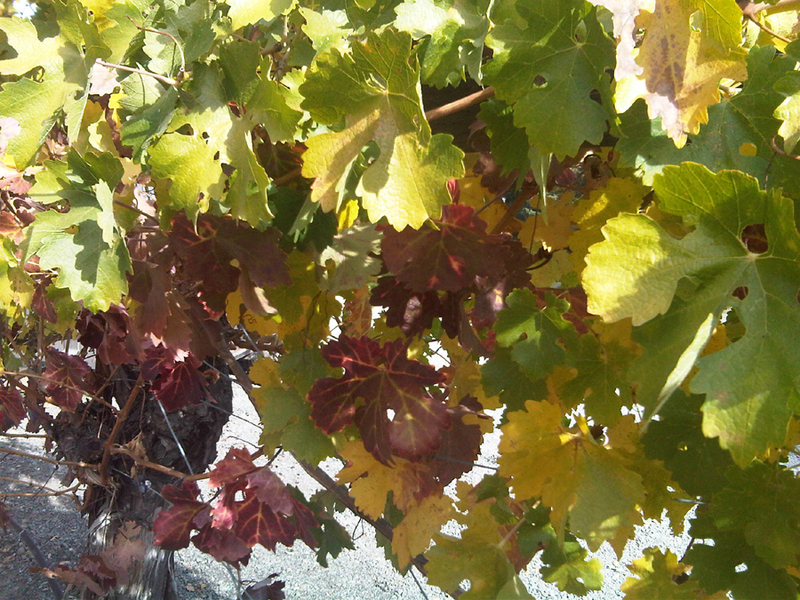 The wine grape harvest is in and it’s up to the winemakers now. Just a few weeks ago it was anything but quiet. Trucks and tractors and gondolas clattering up and down the roads twenty-four hours a day in a controlled frenzy to get the precious grapes in at their sugar peak. 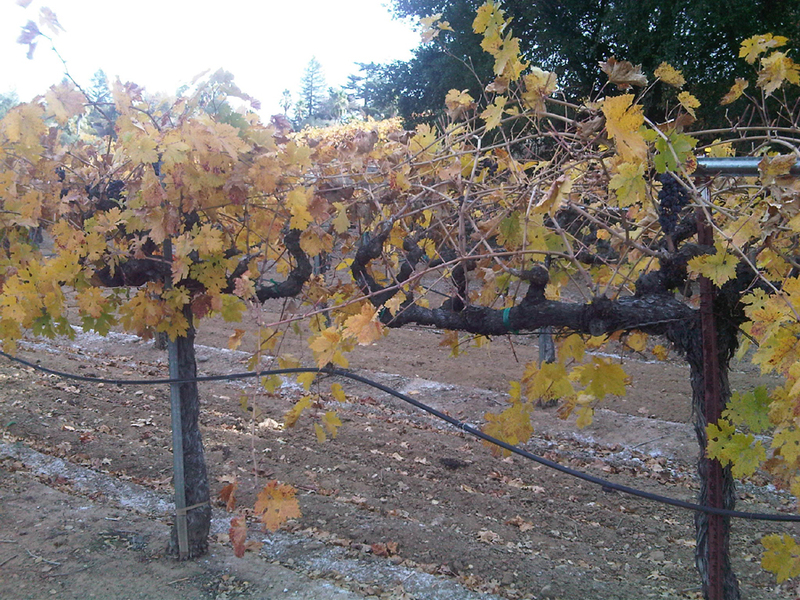 Now the vineyards are gold and orange — and bare of grapes. Many of the wineries in our part of the world bear Italian names, but it was a Hungarian, Count Agoston Haraszthy, who is credited with first bringing grape cuttings into our region, back in 1857, and in spite of changes in consumer taste, Prohibition, and Phylloxera-scares grapes have flourished ever since. Other crops have had their day in our sun: Wheat was the primary crop here in the years when gold-seekers and entrepreneurs flooded California — until the wheat rust epidemic of the 1890’s pretty well took out wheat completely from California. Gravenstein Apples still are prized today and pears and prunes once ruled our valleys. And we never forget that innovative horticulturalist Luther Burbank arrived and set up his experimental gardens in nearby Santa Rosa — giving us, among other things, Shasta Daisies and Santa Rosa Plums. 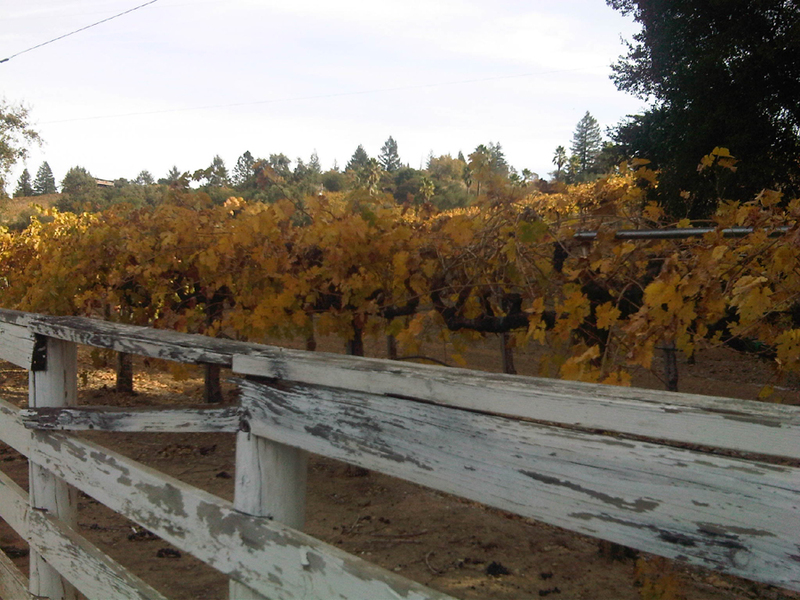 Today, grapes reign supreme here — and we are entering a time of relative quiet in our vineyards. 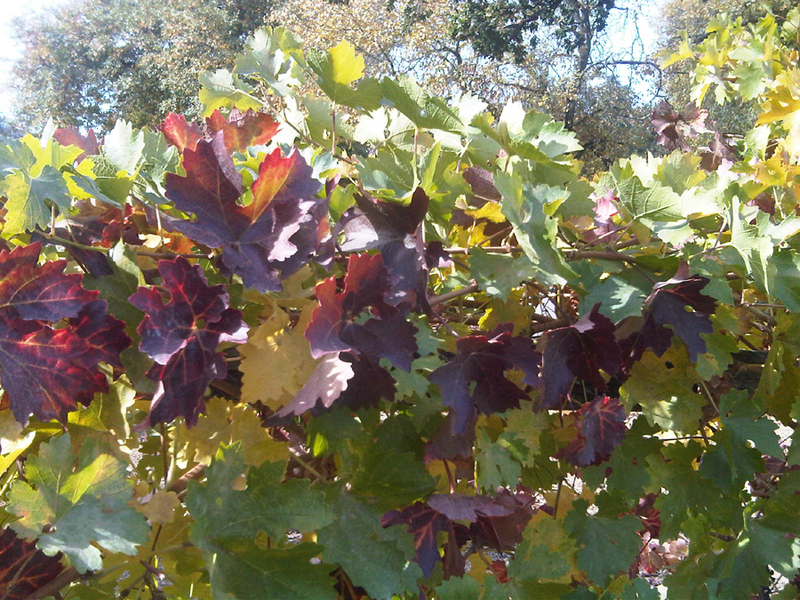 Soon the beautiful colors will be stripped from the vines and the fields will rest.